having never heard much about joshua tree until u2 dropped their mind blowing album i never made it up there until maybe 8 years ago. it's beautiful. beautiful and unusual. it was one of my dad's favorite places and he traveled the world many times. so that's quite a mouthful. like i said, beautiful. but more of the same desert landscape that i've never quite understood. i'm a beach bum. i like green next to my blue... but now hearing a different perspective from hayley i have an itch to go and experience it for what it is. try to see it through my dad's eyes. pretend he's there with me telling one of his fascinating stories he would wrap me up in. maybe even bring a picnic as my past adventures have pretty much been a drive by. seeing the pictures hayley snapped now made it a must see. it's a big deal to me that i "get it" like my dad. we were just alike, save for the whole joshua tree thing. so i'll be going soon and i'll be stopping by pappy and harriet's for the yummiest chili and coolest vibe ever. down and dirty, unassuming and world renowned by those in the know. just the way i like it! enjoy reading hayley's road trip, it may find you craving a visit. it's certainly turned my head around! 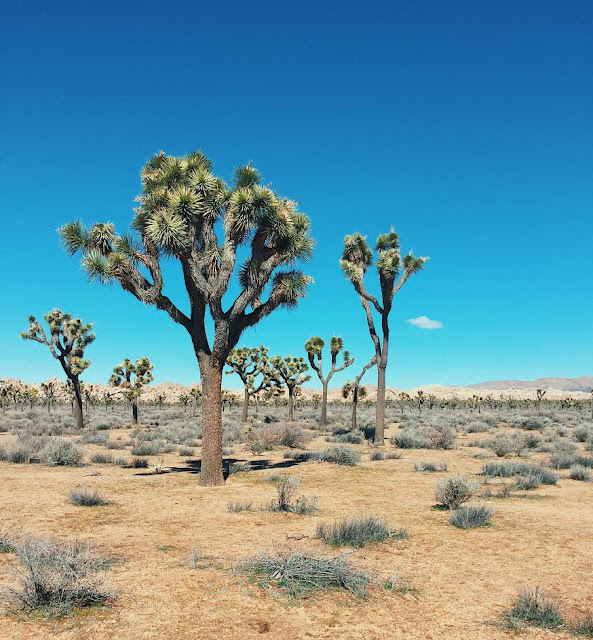 historically known as a haven for la's outlaws, joshua tree, with its desert landscape and la castaway culture, is the new hipster oasis. for my spring break, i, my boyfriend, and our puppy frankie decided to check it out. we booked an incredible air b&b in the heart of joshua tree, packed our bags and hit the road. after two hours on the road, our first stop in j-tree was the joshua tree coffee co., an adorable little coffee shop, whose enthusiasm for serving the perfect coffee is as refreshing as a cup of their cold brew. 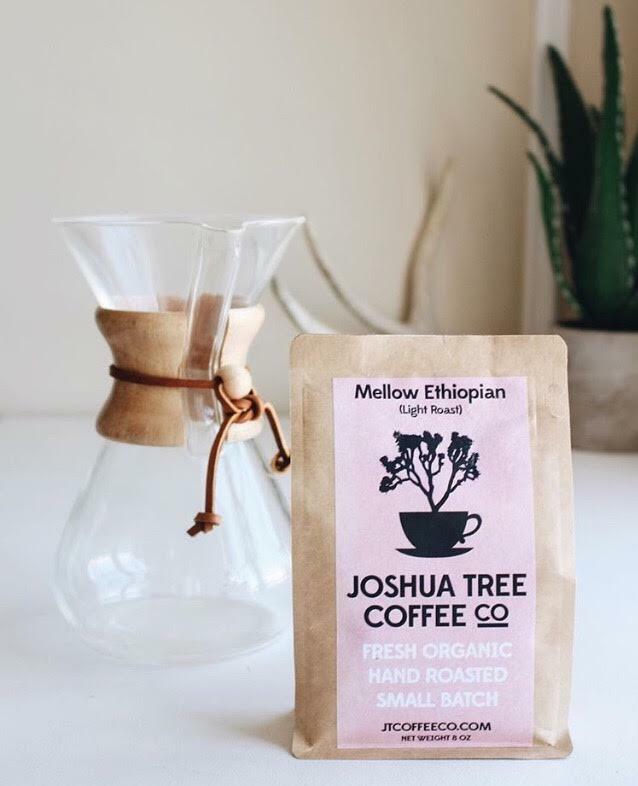 they even roast their beans locally, by hand. 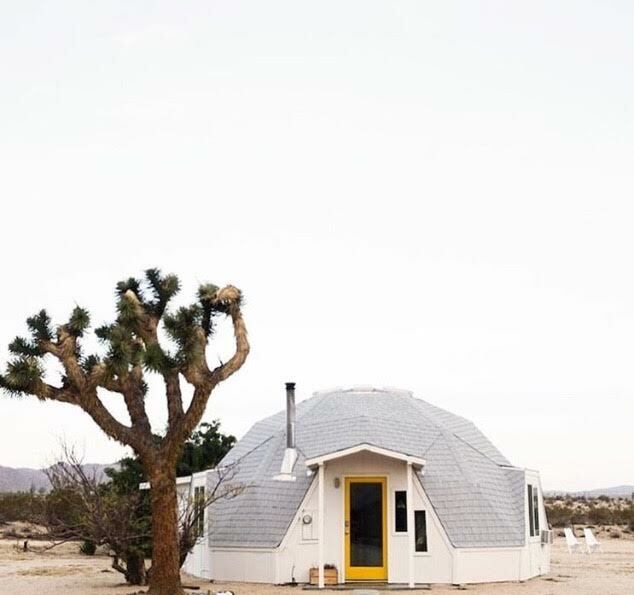 after getting our caffeine fix, we descended down one of joshua tree's many unlit, dirt roads to check out our accommodations for the week, the dome in the desert, an eccentric geometric dome equipped with a mainly handmade, bohemian interior to perfectly match the theme of joshua tree village. 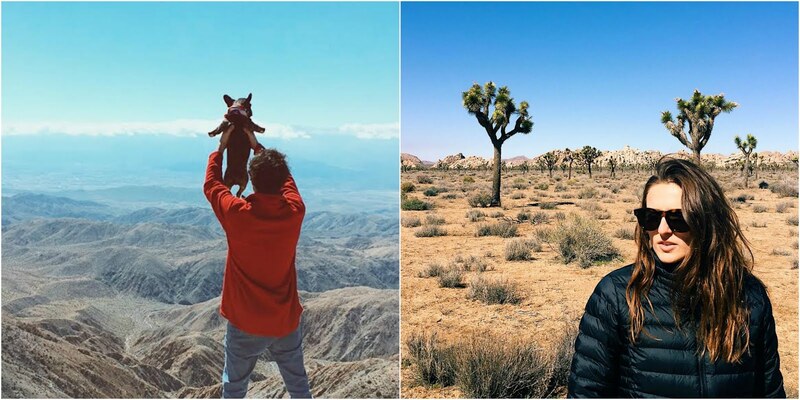 with the same overwhelming feelings of freedom that inspire so many of joshua tree's resident artists, we turned on u2's famous "joshua tree" album, and drove to the national park for an adventure. thousands of joshua trees covering miles of desert landscape and mountains left us speechless throughout our day of hiking. after the park, we picked up some lunch from the natural sisters cafe, a cute little vegan place, a local hot spot for delicious smoothies and wraps. side note, their vegan carrot cake is to die for!! 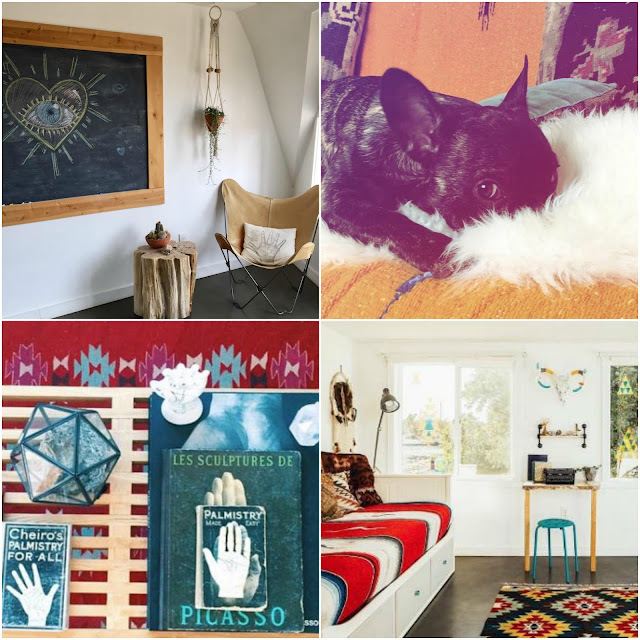 we followed this up with an exploration of joshua tree's unique collection of vintage shops and art galleries. our favorite was hoof and the horn, offering a wide variety of cool vintage clothing and handmade jewelry. as our day came to an end, we had fallen in love with the town of joshua tree, so much so that we decided to extend our trip, checking into the pioneer town motel. 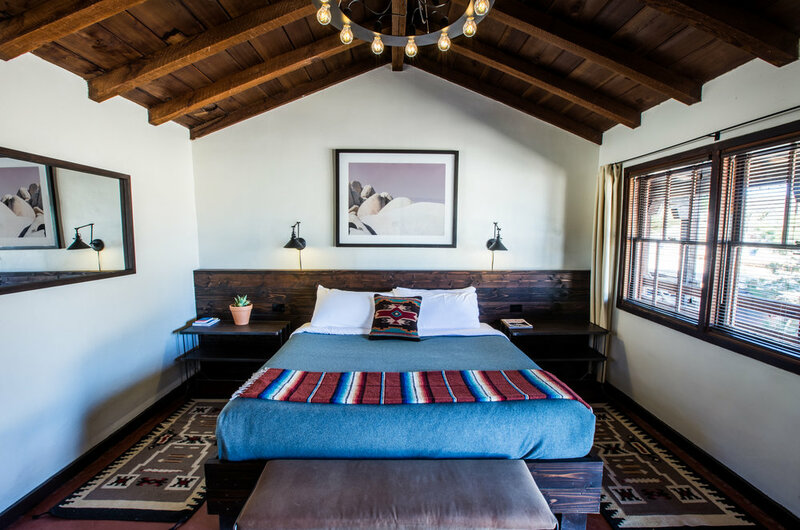 the pioneer town motel was established by the likes of western icons roy rogers and gene autry. this quaint spot boasts a one-of-a-kind hollywood history, being constructed from an old western movie set and having hosted the likes of robert plant and paul mccartney. the motel also comes with the added bonus of being next door to the legendary pappy and harriet's, a family owned restaurant serving fall off the bone mesquite barbecue. pappy and harriet's is also famous for providing the perfect joshua tree atmosphere by showcasing local bands. joshua tree is truly a one-of-a-kind place with its own unique energy. it's the perfect weekend get-away from the hustle and bustle of la life! p.s. check out my joshua tree inspired spotify playlist that provided the jams throughout our trip!